New mobile 24th SAM brigade to be stationed in Abakan and Divnogorsk. Interview with Airforce Chief Commander in Chief Air Space Forces Colonel-General Viktor Bondarev. What will happen with the crews and combat crews before the start of the international phase of the competition "Aviadarts-2017" and "Keys to the sky - 2017"? - Winners relocate airfields Eastern Military District, where they will train and adapt to the climate of the Far East, to the maximum to prepare for participation in the international stage of the competition, which will be held in the People's Republic of China in August 2017. Relocation of the Russian team in China is scheduled to start from July 20th. This year the geography of the contest "The keys of heaven" will expand, making competition more intense and interesting. Participants will compete in the management of multi-axis chassis, the march, the loading launchers, repelling a simulated enemy attack. At the final stage, the calculations will conduct air defense battles with combat launches anti-aircraft guided missiles. According to the results of the international phase of the competition "The keys to the sky - 2017" will be determined by the best fighting calculations of anti-aircraft missile systems S-300PS and C-300PM2. Does the Russia Airforce still use S-300PS or have they moved completely to S-300PMU2 ? I am wondering why S-300PMU2 was not upgraded with ARH seeker considering that thing has a range of 200 km and missile is big enough to have a big seeker ? Another question I had was why didnt they tried S-300 with IIR or dual mode IR seeker ? Austin wrote: Does the Russia Airforce still use S-300PS or have they moved completely to S-300PMU2 ? Lots of 300PS's still around. As for the rest of your questions will leave to the techies. The main issue for not fitting IR or IIR guidance is that it is a difficult technology. It is not just a case of launching missiles in the general direction of the enemy and expect them to get locks on real targets. For 200km range launches you need lock on after launch capability and a rather sophisticated system that can assess threats and automatically prioritise targets all on its own... which means correctly identifying them in the first place. GarryB wrote: The main issue for not fitting IR or IIR guidance is that it is a difficult technology. The initial guidance would ofcourse be INS/MCG from GBR but once it has reached a lock on range to target it can be autonmous. They can be radio guided like Tor and pantsir untill they are 5 km from the target and then switch to IR, maybe not for the 48N6 missiles but for 9M96 is possible. --very big cooling requirements , this are fast hypersonic missiles and flight lasts minutes on longrange shots - lots of heat for long time... more weight ,complexity ,costs. --narrow field of view so its hard for missile to find and aquire target on longrange interception. because of this only shortrange missiles are heatseekers , and seeker head is hemispheric and smaller then missile body to minimize surface area which has to be cooled , its also from accumulative material so it stores cold for some small time after cooler is finished working (seconds). ---and using IIR missile without radar you lose ,track with missile /seeker aided guidance. I mean when a fighter aircraft detects a target at 200km with its radar it has the radar return to identify the target... that information can be used to work out an intercept point so when a missile is launched it is launched to a point in space for the missile to get to within x amount of time to start searching for the target... when it gets to that interception box and turns on its own radar then information from the initial radar scan can be used to determine what in its field of view is the target in question to engage. At 200km range no IR sensor of the aircraft or on an S-400 battery will be able to see the IR signature of the target. When either missile gets to the intercept point it will look at an IR picture the S-400 battery and the fighter aircraft have not examined yet... how is it supposed to pick valid targets from that image? Only in tail chase mode. A closing target hides its engines so only very sensitive modern AAMs can target such targets. Closing targets are easy targets for SARH missiles. Receeding targets are difficult targets for SARH which have much shorter engagement ranges against such targets. Firing an IR and an SARH missile does improve kill probabilities but only when both get proper locks before launch. The next generation system... the Morfei... will have an IIR seeker which generates a rich image of the target and area around the target. An onboard database with 3D IR objects means the seeker can detect targets from any angle and identify them itself, so after a long flight it can start looking for targets and find a target and intercept it on its own. A decent two way datalink should allow the missile to send to the pilot a view of the targets it can see and perhaps let the pilot override the target choice. For something like a 400km range S-400 missile it could simply have an ablative nose cap that is ejected when the missile gets near its intercept area... the same for an IIR guided R-77 or RVV-BD. Missiles with IIR seeker AAMs could be mounted on platforms (aircraft/Uav/land vehicle/ship/sub) with an IRST for target detection and engagement. A sub sailing along underwater might detect the engine drone of an MPA... releasing a platform that sits on the surface with an IRST system attached to it could quickly detect enemy helos or aircraft... an S-350 family missile launched from subsurface with an IIR seeker could deal with the threat while the platform deflates the airbags that brought it to the surface and it could be pulled back into the section of the sub it was released from. Why new 48N6DM missile from S-400 doesn't use a ARH warhead ? Still TVM guidance. The US has invested trillions in developing air superiority - it is their bread and butter. The have the most sophisticated electronic countermeasure systems in the world. The answer to stopping F-22 or F-35s is not to try to shoot down each one in the air - obviously you have to try. The intelligent response is to target those airfields, ships, support assets on the ground. Much easier to annihilate the airfield with 40 jets on the ground then to try to pick them off in the air. What advanced air defense systems do you currently work on? 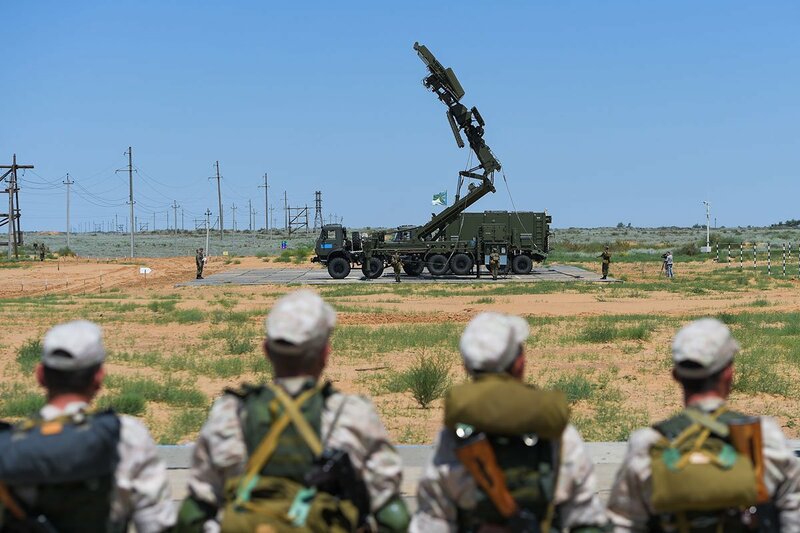 Jan Novikov : In the near future, we must complete state tests of three new anti-aircraft guided missiles with active homing heads for equipping the S-350 Vityaz systems and anti-aircraft defense complexes. There are tests of an anti-aircraft anti-missile anti-missile system for the S-500 complex, work is under way to create other advanced air defense and anti-missile systems. The advantages of the "Sky-M" in the anti-missile link VCS RF: irreplaceable helpers "Voronezh" and "reaching is"
I was just wondering what would happen if an S200 missle lost the sight of its target and started wandering in the air. Unless it self-destroys I would assume it will fly until it runs out of fuel and fall? But what then? Will its war head detonate upon hitting the ground or will it just crush like piece of rock falling on the ground? They probably have selfdestruction mode so that they can't be captured and analysed by enemy. The S-200 was a major piece of soviet air defence forces, they wouldn't let US take a look to a lost missile. For exemple US tried and invest lot of money for recovering soviet subs that were lost by accident. Another is the chinese trying to get some part of the F-117 in serbia, Pakistan's babour missile was developped by analysing an unexploded Tomahawk in Afghanistan, Chinese managed to capture a soviet tank during the border conflict between them and soviets and copied it ... Mig-25 needed to be upgraded because of the defection of one of them in Japan (it costed a lot to USSR). Having a missile of a SAM could bring lot of informations and probably they could develop a counter mesure to be totaly safe from it. There is self destruction link on most of the SAM launch consoles. Used in case if crew launches missile aganist wrong target. Regarding the S-200 it is command guided to near the target location so if tracking is lost the outgoing missile could simply be flown into the ground. Paul Sozinov: "The overall objective - the protection against the full range of air and space attack"
Much has been developed and implemented in the air defense system of the country? 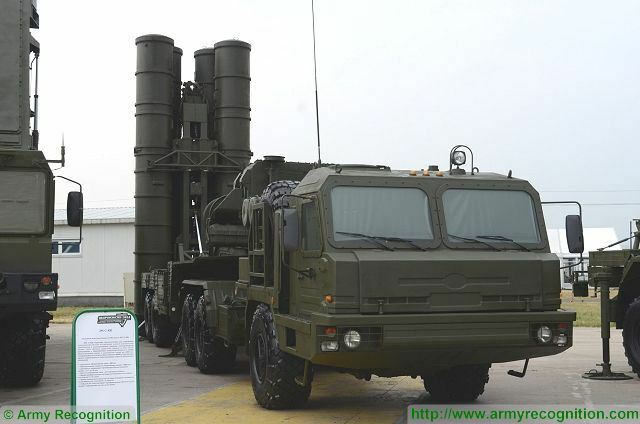 - put into mass production of S-400, which can now be called the hallmark of the Group. The idea of ​​the C-400 has been fully brought to life. But at the same time I can not stress enough that the system has been significantly upgraded in the process of mass production. Part of it has concerned the replacement of the element base to a more advanced, the use of a number of materials to improve the facilities of the system. In order to meet the required level of performance characteristics, including taking into account the development of air and space attack, the algorithmic part has been improved, and in some cases even the hardware resources of the system. Similarly, at the time carried out and the production of S-300: it was made five major upgrades of the system and more than 20 local in my memory. 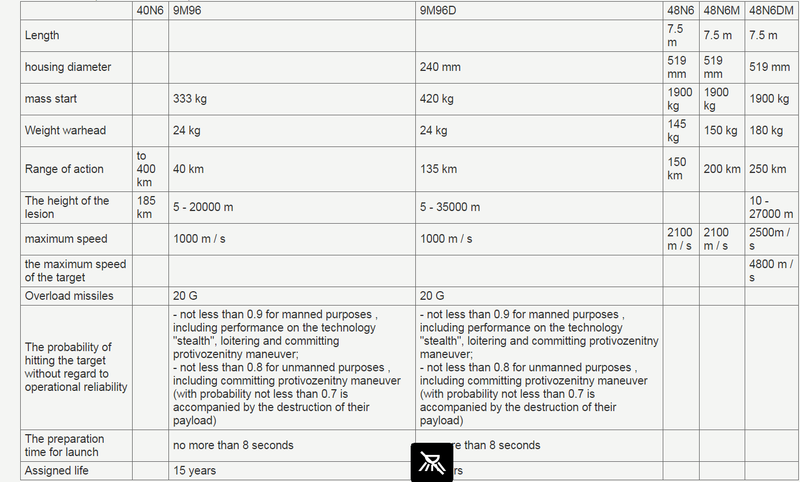 - Why S-400 is so effective? - When creating systems S-300 and S-400 originally was a global challenge for the protection against the full range of air and space attack, starting with cruise missiles flying at extremely low altitudes with terrain following, including over water and up to an altitude of 27 km. This is the basic upper limit of the kill zone of S-300 systems. Using this system uniquely covers the entire height range of application of the aerodynamic purposes "airplane" class automatic drifting balloons, etc. Another direction of development of the S-300 systems and C-400 - it is a struggle with tactical and ballistic missiles, which have a flight range of up to 3,000 km. 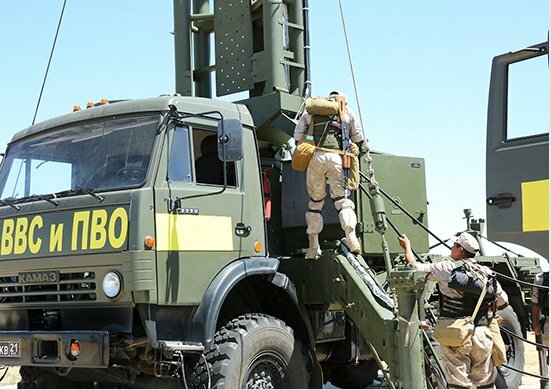 Martial means C-300 and C-systems 400 operate so that in the dense atmospheric layers provide not only interception of tactical ballistic missiles, but also medium range ballistic missiles. This object is achieved with a sufficiently high efficiency, that is the class of the arms provides a reliable protection of objects. S-400 is initially focused on the destruction in the first place especially dangerous purposes, such as electronic warfare aircraft at great distances, airborne early warning and control aircraft. S-400 is to ward off any object appearing beyond the radio horizon, or destroy it. When you create a "chetyrehsotke" focused on building a radar means for solving the problems of high-precision guidance and control, as well as providing means of interference immunity system. Here, the first violin playing software engineering, automatic compensators and a number of other items that allow you to work the C-400 in terms of interference from the enemy on board the special aircraft electronic warfare aircraft either tactical or strategic aviation. And these tools are introduced into each locator. We are always trying to "teach" the AAMS to destroy the source of interference, without any restrictions. Today, this objective is achieved by application of homing missiles in conjunction with a ground part of the art. First ZRS, where a very high destruction efficiency pomehopostanovschikov solved the problem was the C-200. - What do you think, could the presence of S-300 in Serbia in 1999 to prevent aggression on the part of NATO? - I do not exclude that if there was a timely deployed "trehsotka" that the conflict could have been avoided. The presence of the C-300 in Serbia would dramatically change the look of the NATO countries to the task force process. In the North Atlantic Treaty Organization used to dispense without significant loss in local conflict with manned means of attack. In the absence of the opposing groups can be achieved in a short period of time, the complete destruction of the main elements of the enemy infrastructure. This applies both to local conflicts with the use of air and space attack, which took place before our eyes and in Iraq, and Yugoslavia, and in Libya, and the conflicts that are taking place today in other countries of the Arab world. Manned aircraft, if she did not oppose, solves the problem with a very high efficiency. Therefore, it is extremely important if we're talking about Yugoslavia, to block such a possibility. - But in Iraq in 2003 it was a good air defense system, and it did not help to prevent conflict. - Successful implementation of air defense systems are important components of the two. Firstly, the technical readiness of facilities and systems, and secondly, the psychological readiness of personnel, which this technique operates. And she and the other components in Iraq left much to be desired. Technical readiness of most of the air defense systems deployed at that time in Iraq, has not been brought to the level of combat readiness. There was organized to attract a sufficient number of technical staff on our part, due maintenance of equipment, - in the end the combat crews were not able to apply the technique in war. - The Vietnam War was won thanks largely to the air defense role. What means are used when the air defense? - During the Vietnam War, the S-75 were deployed. They matched combat capabilities that are required of air defense systems at the time. There was a struggle with manned aircraft, did not exist as such high-precision weapons, long-range even more. Enemy bombers were forced to enter the affected area of ​​a class of systems S-75 and carry enormous damage. The losses in the thousands of aircraft and manpower. Air defense in this case played a major role. - What are the distinctive features of SAM "Buk-M3"? - "Buk-M3" - a new generation air defense missile system for air defense of the Army. The complex is put into production. It allows you to capture virtually the entire range of cruise missiles, aerodynamic targets. On the launcher 12 missiles placed on the self-propelled fire installation - six missiles and radar. This unique design that allows virtually shoot with the march and to solve problems related to a significant increase in performance in terms of fire massive strikes. The first production kits have been delivered to the troops. The complex corresponds to the best world analogues. This is a promising system that is at least 20 years will prove its efficiency. - Is it possible to intercept hypersonic air attack? - The concept hypersound very broad. Among the experts are called hypersonic speeds in excess of Mach 5-6. For most purposes, including aeroballistic and ballistic missiles, is a normal rate, for which we are working is not the first dozen years. The problem is that a hypersonic cruise missile, for example, the American X-51 can carry a long flight at altitudes of 30-35 km, and be beyond the reach adjustment for a range of anti-aircraft missile systems, which are now are in service worldwide. New developments should be able to hit for appropriate purposes, outside the dense layers of the atmosphere, due to the implementation of the gas-dynamic control system of the rocket. Typically, these missiles were created and used only for strategic missile defense. But in recent history due to the advent of hypersonic cruise missiles, you must use the same technology in the new park of our anti-aircraft guided missiles. These tasks will be to decide the S-500. - At what stage are working on S-500? - a fifth-generation system - the theme is very private, so only a general characterization can be given. S-500 contains in its structure a large number of radar systems for various purposes and, respectively, surface-to-air missile. This is not just a set of separately taken, namely a system that solves the whole set of problems like air and missile defense, including strategic missile defense. We have before us the task - the creation of an integrated system with standardized means in terms of energy, a number of vehicle chassis, a number of hardware and technical solutions, which are used in radar facilities and control centers. It is in this way carried the bulk of the development. To date, the fixed assets of the system are quite successful tests at the sites, carried out launches of new missiles. In the experiments, we work with a number of restrictions caused by the landfill capacity. For example, when working at the Kapustin Yar firing range restrictions on the substantial and account for about 100 km. 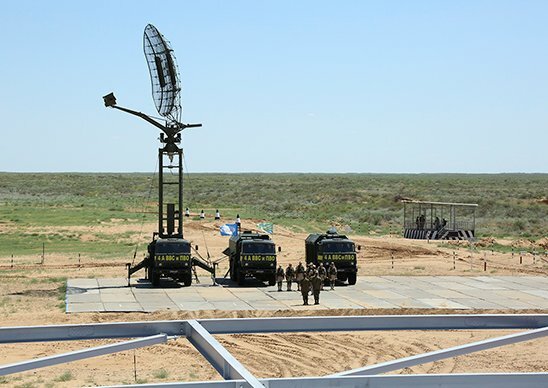 In the following may be possible to move to a site in Kazakhstan, where appropriate platform used to test AAMS large and medium-range missile defense and even in the 70-80s of the last century. The second part of the test with real interceptions can be organized there. To date, conducted testing of fixed assets system with maximum economy of resources that are allocated to carry out the tests. It concerns of the target software, carrying out certain types of measuring work and some other aspects. Therefore, a large part of the system means the test is performed taking into account the capabilities of our enterprises involved in cooperation, and the availability of range of funds. If the previous system, we from the very start of the test was formed as a group in terms of the main site and the tests were carried out in collaboration with the military, it is now a significant part of the test is conducted in a polygon areas. C-500 - is a new generation system. According to its basic characteristics it exceeds the foreign analogues, which are either already exist or are created. Problem C-500 - come to replace P-400. This system is created based on the element of the XXI century. We made a forecast for the next 25 years on the development of air and space attack. Our system must be able to deal with the funds that are currently not yet available, but it may appear. It is about the interception in loose layers of the atmosphere, including those in the upper atmosphere a hundred kilometers from the ground. - How are the tests of the ship's air defense system "Poliment-Redoute"? - Creation of a complex ship-based solutions for defense tasks ships class "corvette" and "frigate" conducted from the 1990s. In this case a long time as the development of this and other topics is practically not financed. Beginning in the late 2000s. steel allocated resources appeared ships on which the respective system were actually deployed. At this point in time we have several corvettes, which are deployed systems from the "Poliment-Redoute" - including launchers, locating tools, controls, and basic head frigate "Admiral Gorshkov", which deployed a full-scale air defense system "Poliment-Redoute" . Within the framework of the ROC "Poliment-Redoute-R" create three types of missiles to equip the respective vessels: small, medium and transition range for solving problems cover not only individual orders ships, but also the order in general. All new-generation missiles are created with active homing with inertial control systems and have very good maneuvering characteristics for the defeat of the entire spectrum of attacking objects. Missiles SAM "Poliment-Redut" unified with S-350 "Knight". The 1st air and missile defense army of the Russian Aerospace Forces will receive four modernized anti-aircraft S-300PM2 complexes and several squadrons of Pantsir-S2 missile guns this year, army Commander Lieutenant-General Andrei Demin told reporters. 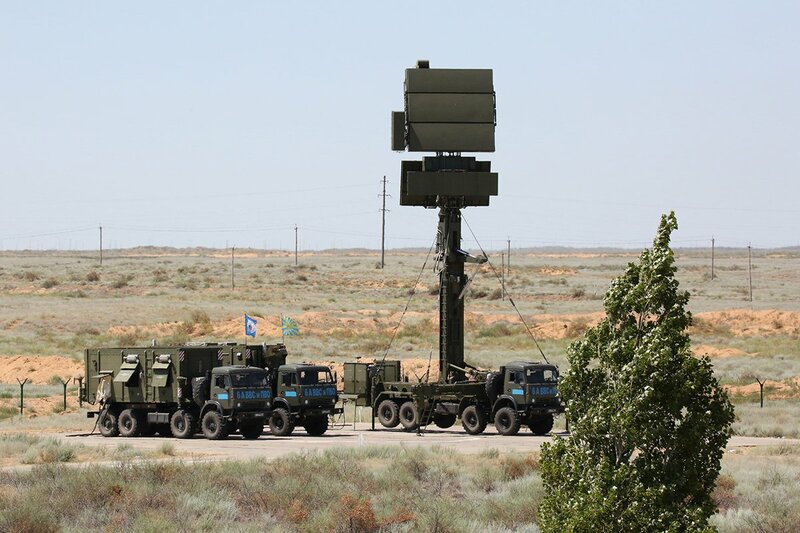 "This year shipments of close to 200 pieces of armaments for Pantsir-S2 and up to 20 modern radars for radio-technical troops (including Fundament, Podlet and others), several squadrons of Pantsir-S2 and four modernized S-300PM2 complexes are planned," he said. 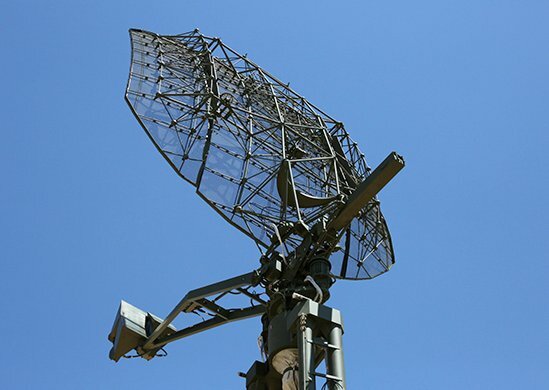 The radio-technical troops will also receive over 10 latest dual-purpose Sopka-2 radars. At present servicemen of the 1st army are retrained to operate new armaments at the training center of the Military Academy of the Aerospace Defense in Vladimir, Demin said. The Moscow air defense district was created in April 1918. It was succeeded by the air and missile defense command which in August 2015 was transformed into the 1st air and missile defense army of the Order of Lenin. S-500 Prometheus consisting of two different but integrated system (one within earth atmosphere and the one for space shooting) - it is mentioned that the missile speed is 3600m/s for shooting down 7000m/s targets. crucial part the radar sets are already in place scanning 6000+km in all around. The missile with 1500 km and 750 km alt is a new missile and nothing to do with older Gorgon. 53T6 is getting upgraded its called A-135M now , Perhaps the ranges is 250 km and 90 km altitude. From what I know Nudol system will have 3 types of missile Low Medium and high altitude , so the new 1500 km will be part of the system. S-500 will have two missile and even 40N6 will get interated too. The key is all these systems will be mobile thats a very very big plus . Mobility is key to any future AD system. Ekaterinburg. July 9th. 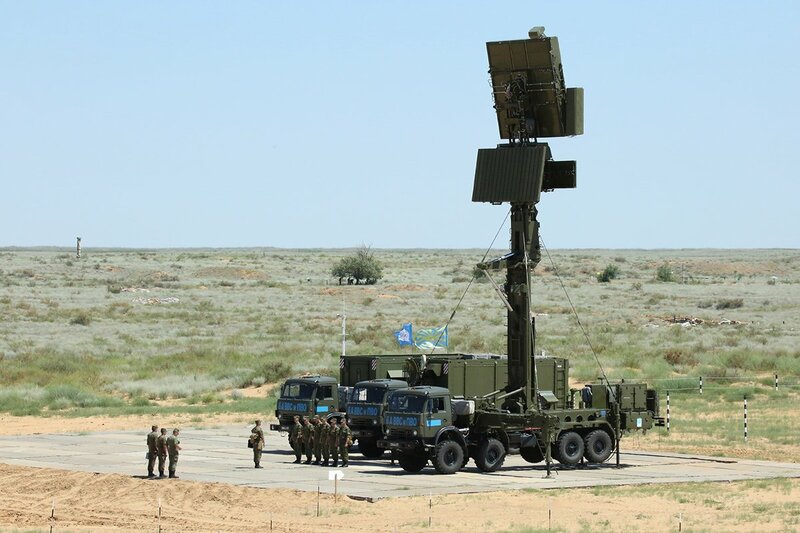 Interfax-Ural - Serial deliveries of modern air defense system S-500 "Prometheus" in the Russian Armed Forces will begin in 2019, "Interfax" deputy general director for production and technology policy of JSC "Concern EKR" Almaz-Antey "Aleksandr Vedrov.
" Can only repeat what was said - is the serial deliveries will be in 2019 ", - he said. the C-500 It will be the basis for a unified nat ionalnoy system of air and missile defense (AD-PRO), which is created in Russia, said the First Army missile defense commander of the air and missile defense aerospace forces, Major General Andrew Cheburin in January in an interview with the newspaper "Red Star". KALININGRAD, July 13. /TASS/. An air defense missile formation of Russia’s Baltic Fleet has fired advanced S-300PM surface-to-air missile systems to hit notional intruders of the Russian airspace, Fleet spokesman Roman Martov said on Thursday.